KUALA LUMPUR — There are currently 15,000 stratified residential building developments in Peninsular Malaysia, which house approximately 30% of the country’s urban population. To handle the inevitable problems that come with strata living, the Urban Wellbeing, Housing and Local Government Ministry (KPKT) has enacted the Strata Management Act 2013 (SMA) or Act 757. 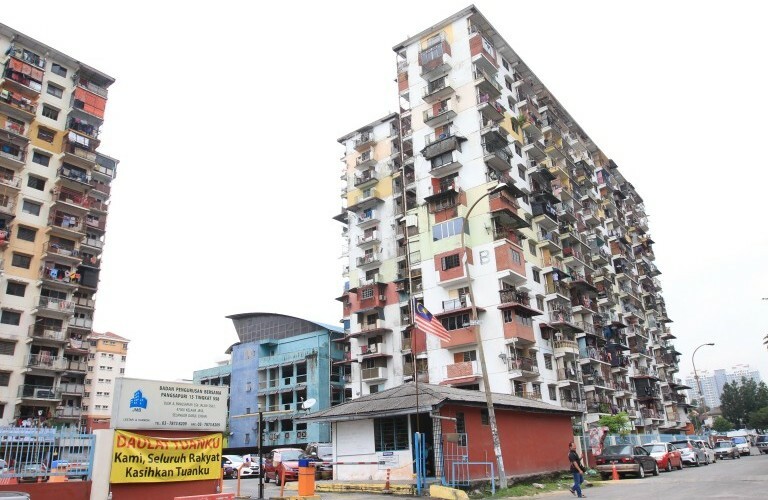 Its minister Datuk Abdul Rahman Dahlan said that the rapid development of strata buildings and the increasing number of people living in stratified properties require proper laws and regulations to govern maintenance and management. “With this newly implemented act, Malaysia’s property industry now has the proper governing laws in place,” he said. Rahman said that a Strata Management Tribunal (SMT) has also been set up and implemented following the enforcement of the SMA. “This provides a proper avenue for any aggrieved parties to channel their issues related to strata management,” he said. He said that this tribunal should be seen as an alternative platform that is simple, affordable and quick in solving problems and addressing complaints, whereby stakeholders no longer have to go through the court process which is often tedious and costly. “As a comparison, it takes around RM300 to open a court case, but with this tribunal, only a minimal RM50 is required as payment,” he said. The president of Malaysian Institute of Professional Property Managers (MIPPM), Sarkunan Subramaniam, said that the SMT will provide faster and cheaper solutions for house owners as they can present the cases themselves without having to hire a lawyer. The tribunal’s headquarters is based in Putrajaya, whilst offices have also been set up in Penang, Johor Baru and Kuala Terengganu. Sarkunan said SMA will provide better protection for owners as well as penalise uncooperative property owners, such as those who default on their service maintenance fees and sinking fund. President of SMT, Roger Tan said with more than three million Malaysians living in various stratified buildings, it is hoped that this tribunal will be an effective forum for various stakeholders to settle their disputes. He said that developers, purchasers, proprietors, joint management bodies, management corporations, subsidiary management corporations, managing agents and other interested individuals or parties are entitled to file a claim. “Currently, the Tribunal can hear and determine any claims where the total amount claimed does not exceed RM250,000,” Tan said. Those eligible to file a claim can do so for disputes concerning an exercise or the performance of, or the failure to exercise or perform, a function, duty or power conferred or imposed by SMA or the by-laws. Owners can also file a claim if they disagree with costs or repairs in respect of a defect in a parcel, building or land intended for subdivision into parcels, or subdivided building or land, and its common property or limited common property. Claims can be also filed for the recovery of charges, or contribution to the sinking fund and for compelling a developer, joint management body, management corporation or subsidiary management corporation to supply information or documents. SMA stated that those who do not comply with an award made by the Tribunal commits an offence and may be fined up to RM250,000 or three years’ of imprisonment, or both, for the first offence and a further fine of RM5,000 every day for continuing offence. Rahman added that KPKT is also working closely with Commissioners of Buildings (COB) of the local authorities across the country to manage and solve complaints brought forward to the government, both local and federal. “One of the notable measures executed by COBs is the star-rating assessment on the management quality of strata development schemes,” he said. In 2014, among the 6,630 schemes evaluated, only 99 of them or 2% were awarded a five-star rating; 541 or 8 % achieved a four-star rating; 1,626 or 25 per cent obtained three stars; 1,286 or 19 per cent were given two stars; while 3,078 or 46% received a one-star rating. “It shall be our joint task in bringing the 65% of one- and two-rated managements to excel and achieve higher ratings in the near future,” Rahman said.